Credit Unions offer a convenient, safe and ethical way to put some money away for the future and to escape the trap of high cost loans. We don’t tie members into a strict savings plan, but we do encourage everyone to save regularly. Members can also benefit from free life insurance. We recommend that you first complete a budget planner to see how much you can afford to save regularly. Start with a small, affordable amount and increase when you feel able. Standing order from your bank account either weekly or monthly – you decide. Direct from your wages via payroll deductions. Ask your employer if this can be arranged as part of your employee wellbeing benefits package. At the credit union office in Erdington – details at the bottom of this page. Advance Credit Union is a not-for-profit, co-operative organisation. Your savings are invested right back into our community by offering our range of affordable loans to Advance Credit Union members. There are no stock market investments or other volatile investments. If the credit union makes a surplus once all its expenses have been met then we do pay a dividend, however this is not guaranteed. Your savings are protected by insurance, which covers theft, fraud and misappropriation of funds. The Credit Union has ‘fidelity bond’ insurance which means that your savings are protected from any fraudulent action by the credit union or it’s employees. As with any other financial institution, if the Credit Union collapsed, funds from the financial services compensation scheme would ensure you would not lose all your savings. For more information regarding the financial services compensation scheme please visit Financial Services Compensation Scheme. 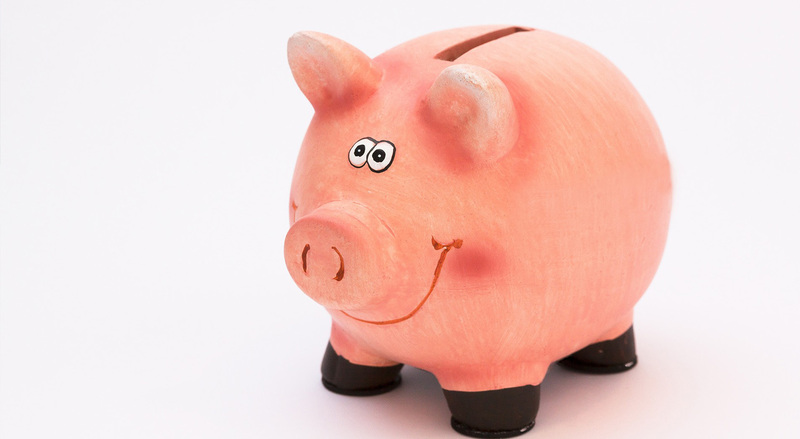 Our most popular Credit Union savings account is the Share Account. Totally flexible, you can save as much as you want, when you want, up to a maximum of £18,000. Share Account savings earn a dividend, 1% was paid this year. As a Credit Union is a mutual not-for-profit organisation, we are owned and controlled by our members. We each own a ‘share’ in the business. The dividend is the Credit Union’s profit redistributed back to the members. Your savings are invested right back into our community by offering our range of affordable loans to Advance Credit Union members. There are no stock market investments or other volatile investments. You can withdraw money from your Share Account at any time unless secured against a loan. However many Credit Union members prefer to leave their savings to grow, ready for when they need it. It is a good idea to save for something specific: holiday, new car, Christmas, wedding, house deposit. Share withdrawals are paid direct into your own bank account or your Engage Account. Cash withdrawals are not available from office or our Collection Points. Complete a Share Withdrawal Form, withdrawals are free of charge if 7 days notice is given, so it is best to plan ahead and decide when you will need your money and how much you would like to withdraw. Express Payments If you are in a hurry or need money in an emergency you can request an Express Payment on your Share Withdrawal Form. Express Payments are processed the same day if requested before 2.00pm, or the following day if requested after 2.00pm. The transfer to your account is usually complete before 4.30pm. There is a fee payable of £1.00 for this service, which is deducted from your withdrawal. Withdrawals can be requested via internet banking (minimum £10 withdrawal). Withdrawals received by 4pm on weekdays should be in your bank account by 4.30pm. Please note that all share withdrawals made by internet banking are considered to be Express Payments and the £1 service fee will be charged. Joining as a Payroll Saver is the easy way to save. You decide how much to save each month and it is deducted from your pay and credited to your credit union savings. It is so easy, you won’t even notice, and it is amazing how quickly your savings grow! Plus when you need a loan with flexible, affordable repayments, all you need to do is ask. That’s why we call it common sense with money. Start with a small, manageable amount that you won’t miss too much. Why not put part of your savings into our Christmas Club? You can join online and tell us you want to pay by payroll deduction, or complete and return the payroll deduction membership application form and we will set this up for you. Want to change your payroll deduction amount? Please complete the payroll deduction amendment form and return it to us and we will sort out the rest. If your workplace does not offer payroll deduction as a workplace benefit, please contact us with the details and we will help enable this facility for yourself and your colleagues. Why not forward this page to your HR Manager and ask them to contact us for further information about payroll deduction. Are you already a member of the credit union? Have you benefited from membership? The credit union is looking for ‘champions’ to advocate credit union membership to their colleagues at work and the residents of Solihull as a whole. If you are interested in exploring this role, please contact us. Advance Credit Union’s Christmas Club offers a simple and secure way to put money away for Christmas. Take some of the stress out of Christmas by saving regularly through the year. More than 230 of our members saved £83,000 in 2018 – it is quick and easy to join them and know that your Christmas bills are covered. Christmas Club account runs alongside your ordinary share account and is not linked to your borrowing. It lets you save at your own pace, you can add extra at any time. Contact us and ask to join Christmas Club. January is the best time to start Christmas Club, this will give you 43 weeks to save before 1st November. However it is never too late to start saving! Every little bit saved will take away some of the stress when it comes to feeling ready for Christmas. The perfect wedding day needn’t cost a fortune, it just takes some planning. Here’s our tips for planning your wedding plus our Wedding Budget Planner. This is one of life’s great events, but there is so much to do, and lots to plan for. Including your money! Research has found that the average mum will spend nearly £4,000 in the first year. We don’t believe that it has to cost that much, read more about how to plan, and our tips and resources to help keep the costs under control. Kids can be great, but they are also a strain – especially on your money! These are our tips and resources to help you keep the costs under control, and also help your kids learn about money too. Summer holidays are great – 6 weeks to do whatever you want! So how can you have maximum fun without spending maximum money? Here is the Advance Credit Union School Summer Holidays Planner to help get the most out of summer. Plus some of our ideas for things to do. It happens every year, yet it still catches us by surprise. Read more about how you can spread the cost and enjoy this special time with family and friends. Many of our members save regularly to spread the cost of birthdays, maybe your children, other family members, for yourself or maybe for a special ‘big 0’ birthday! We all need a break from our routine, but it doesn’t have to break the bank. Sadly, this will affect all us at some point during our lifetime, and funeral costs plus sorting our the deceased’s finances can be stressful and a financial strain. You don’t have to spend a fortune on a funeral and being prepared now can make things easier for yourself and your loved ones. Read more for our tips on planning ahead and cutting the costs. Saving from a young age makes children more money aware, and it is a good habit that can stay with them throughout their life. See our Youtube Playlist for more ideas about your children and their money. Why not set up a savings account for your children to manage their own money by saving pocket money regularly plus stash away Christmas or birthday money, all ready to save for when they need it for holidays, Christmas or other big events and purchases. Some of our members have been with us since birth; parents, family and friends have set up an account for the child to lock away a gift for their future and give them a great start in life. Engage SmartCash account is also available for Juniors aged 8 and over – great for managing pocket money. Includes contactless debit card, smartphone app and parental controls.Find out more.. If the adult opening the account for the young person does not already have an account with Advance Credit Union then identity documentation of that adult must also be seen. Please contact us if this documentation is not available to discuss options. We will do what we can to enable you to join Advance Credit Union. Juniors are permitted to withdraw money from their savings. Withdrawals are paid into a bank account either the child’s bank account or a bank account nominated by their parent or guardian. You will be asked on the withdrawal application to provide details of the account you wish the money to be paid into. If you do not have a bank account then up to £50 may be withdrawn in cash by prior arrangement only from our Erdington office. Under the age of 12 the share withdrawal must be signed for by a parent or guardian. Over the age of 12, the child must sign for themselves (this is the same guidance as for passport applications). Too old to be a Junior Saver? When you reach age 18 you become a full member of the credit union and your junior account is converted into an adult account. You can then take advantage of all the benefits of credit union membership. You can visit the Erdington office (address details are below) or contact us for more information. Increasingly we are approached by individuals and groups who would like to invest with Advance Credit Union because they support our ethos and values, to keep money within our community and to provide an ethical alternative for those on low incomes. Individuals are very welcome to join as an Angel Investor, we are working to enable groups to join in the near future. We allocate Angel Investor savings to new members who may be vulnerable to sub-prime lenders and loan sharks. Our experience is that 80% of borrowers repay without any problems when given the opportunity. We contact the few who go into arrears to help them if they miss a payment. We require all our borrowers to save £3/ weekly so they build up savings as the loan is repaid. We know that these savings may be the first savings some members have ever had, and is a great start to making sound financial choices and to encourage prudent money management. We share loan data with credit reference agencies so our borrowers can build up a credit history. Having a positive financial footprint has become essential to open bank accounts, rent or buy property, get the best deals on utilities, mobile phones contracts as well as accessing mainstream lending in future. We don’t borrow money from anywhere else, and we only invest member’s savings by lending to Advance Credit Union members. We do ask our Angel Investors to commit to investing for at least one year, and to give notice of any large withdrawals. This then enables us to forecast and plan our lending more effectively. Regular Saver and Lump Sum Investments are subject to our Share Account terms and conditions. As such there is no interest rate on savings, but if the credit union makes a surplus once all operating expenses and reserve requirements have been met, then we do pay a dividend, however this is not guaranteed. Dividend is paid without tax deducted, each member is responsible for declaring any dividend earned to the tax authorities. Please contact us if you are interested in supporting Advance Credit Union as an Angel Investor.